The Romans introduced vines to the region and the Charentais produced the wine, but it was foreigners who first exploited this opportunity. During the reign of Francois I, in the late fifteenth century, the town of Cognac became known for its salt trade, which took advantage of the Charente river flowing into the Atlantic Ocean. Many traders came from Northern Europe and the wine produced locally intrigued them. They bought many barrels only to find that on their return home the wine had frequently turned to vinegar. Over the years, these traders introduced to the region a distillation process and equipment that the Arabs had used successfully in Spain. It is often said that producers of Armagnac (another brandy from the region of Gers, south of the Cognac region) were single-distilling their wines long before the producers of Cognac. 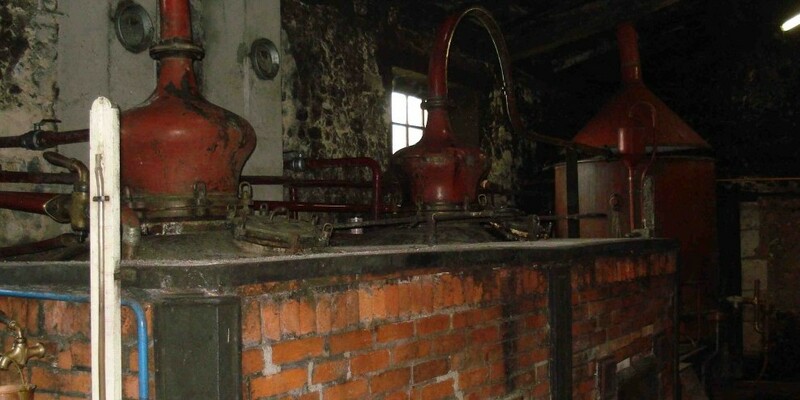 This is probably true, but it was the Cognacais who not only mastered and improved this distillation process, but also introduced several further technical improvements to the distilling equipment, the alambic, or pot still, which came to be known as the alambic charentais. So today, alambics charentais are to be found in Armagnac country as well as in California (Germain-Robin brandy producers in Ukiah). To reach the stage of distillation, vines have to be planted, they have to be maintained and protected Tom diseases, the grapes have to be harvested (today about 99% are harvested mechanically), and pressed. The grape juice has to ferment and only then can the distillation begin. By law, eaux-de-vie distillation far Cognac must end by midnight on 31st March. The majority of the vines are Ugni Blanc (known to wine makers as Trebbiano Toscano), often referred to by the locals as St. Emilion). These vines produce white grapes, which are rich in the fruit flavours, and acidity that yield a dry wine. It takes four to five years for a newly planted vine to produce grapes of a quality suitable far Cognac production. And these vines are planted in straight rows with enough space between them for a harvesting machine to maneuver. 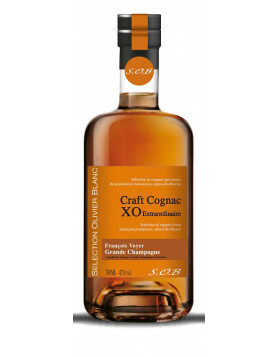 The harvest in the Cognac region usually starts by the end of September, or during the first week of October, and generally lasts for about three weeks. Many in the region believe that harvesting by hand adds to the quality of Cognac, including producers such as Bouju, Giraud, Navarre, Pasquet and Cartais-Larnaure, all of whom harvest manually. They reason that leaves and branches, if pressed with the grapes, must affect the taste of the eau-de-vie. Others, who harvest mechanically, claim that their harvesting equipment has sufficiently advanced technology to satisfy their quality requirements. There is also, of course, a financial consideration. One harvesting machine can cover about five kilometers of vineyard in an hour, but twenty-five pickers can do, at best, one kilometer. All in all, we lean towards hand picking, as we agree that it has an impact on the quality of the final product. During the harvest, the grapes are brought to the presses of the producer, or a co-operative, and are crushed, the juice being collected in vats. The fermentation Iasts for several weeks and no additives are allowed. At a point that is decided individually by each producer, the distillation process begins. The wine used far distillation is usually 8 – 10% alcohol strength. Distillation of wine for Cognac is a non-stop, twenty-four hour process and if you visit a distillery during distillation, do not be surprised to find beds, televisions and other domestic iteros installed, as many distillers stay there through the whole process. The alambic charentais is a pot still made of copper, and comprises three elements: chaudiere (boiler), chapiteau (condenser) and chauffe-vin (winewarmer). The third element is optional and is used, primarily, to save energy. The boiler can be heated by gas, coal, wood or oil, although the majority use gas today, but there are still a few, like Guy Gambert, who use wood. In most cases, the condenser is onion-shaped and it has a swan-necked pipe (col de cygne) that connects it with the boiler. The wine-warmer is a device that does exactly what its name indicates: it pre-warms the wine as it moves from vat to boiler. 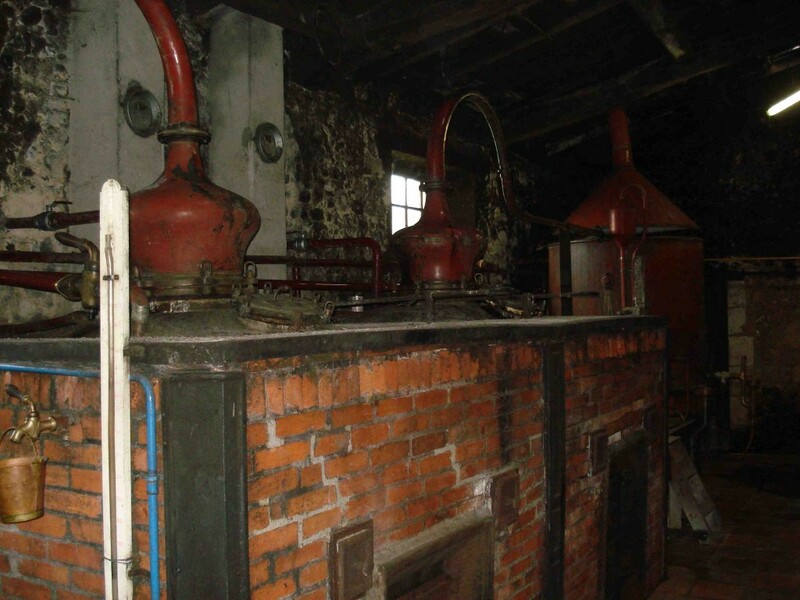 The process of distilling cognac has two parts (thus the tenn “double distillation”). In the first, a raw eau-de-vie known as brouillis is produced. In the second, known as bonne chauffe, only the Coeur (heart) is saved and the resulting tete (head) and tail queue (tail) are either discarded or re-processed. This double distillation is a legal requirement and not the choice of the Cognac producer. The first distillation lasts about eight to ten hours, the second twelve to fourteen hours. The clear liquid, eau-de-vie, which is the end product of distillation, is piped directly into wooden casks. The eau-de-vie, at this moment, is pure white, it ~ has a fantastic aroma, reminding us of vineyards after the rain, a sharp taste and an alcohol content of about seventy percent. 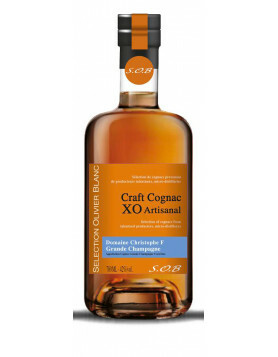 It is this eau-de-vie, the end product of distillation that is put into wooden casks. It can only be called Cognac after two and half years of ageing. There are many regulations and laws specifying sizes, volumes and distillation processes. In the end, it is the distiller’s art and science that make one eau-de-vie different from another. > Stay tuned for new chapters of Mac A Andrew’s cognac guide! 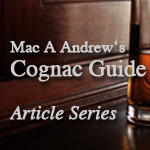 See all articles of the Mac A Andrews Cognac Guide series.